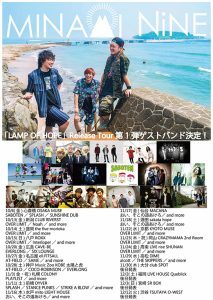 “MINAMI NiNE「LAMP OF HOPE」Release Tour”に出演決定!! 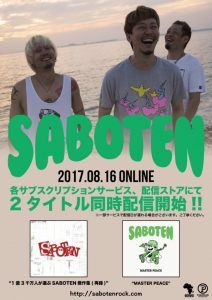 10/6大阪で行われる“MINAMI NiNE「LAMP OF HOPE」Release Tour”に出演決定!! 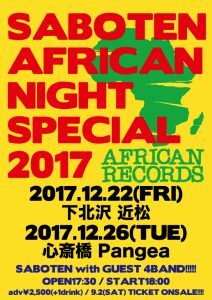 SABOTEN PRESENTS “AFRICAN NIGHT SPECIAL 2017”開催決定! !